Skin for Winamp player in style - Flat, made in two colors. Does not take up much space on the desktop, simple, beautiful, and quite user-friendly. 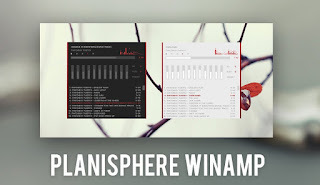 To install, you need to copy the Planisphere Dark and Light folders to the C: \ Program Files (x86) \ Winamp \ Skins directory.